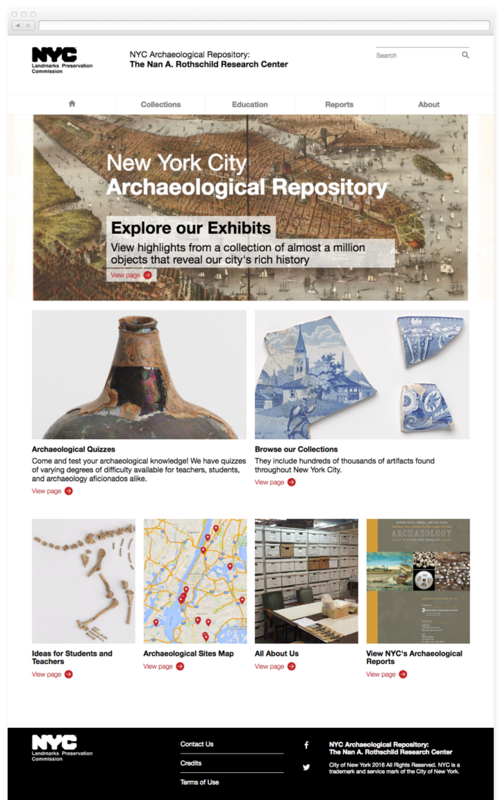 The NYC Archaeology Repository opened in 2014 with the purpose of curating the city’s archaeological collections and make them widely accessible. Keepthinking was chosen to make this happen through a newly designed website and won one of the 10 Best External Application awards at the Best of New York City awards. The homepage provides entry points into the collection for different types of audience. The interactive map gives access to all archaeological sites and their corresponding projects. Quizzes have been developed to test visitors' knowledge in a fun way. 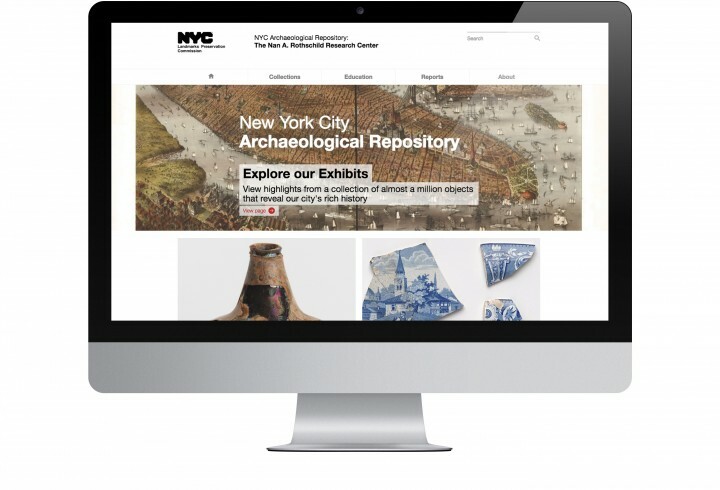 A single site page holds information about the site, all projects and related artefacts. 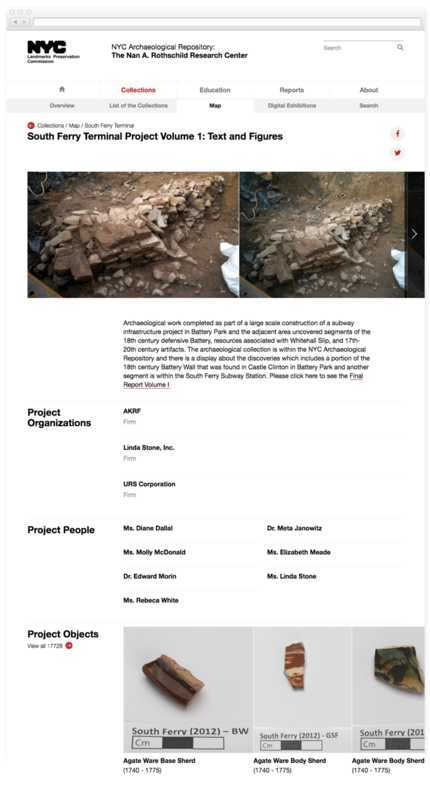 On a single project page, visitors can find excavation images as well as information about the organisations and people involved, while a list of objects found is also available. 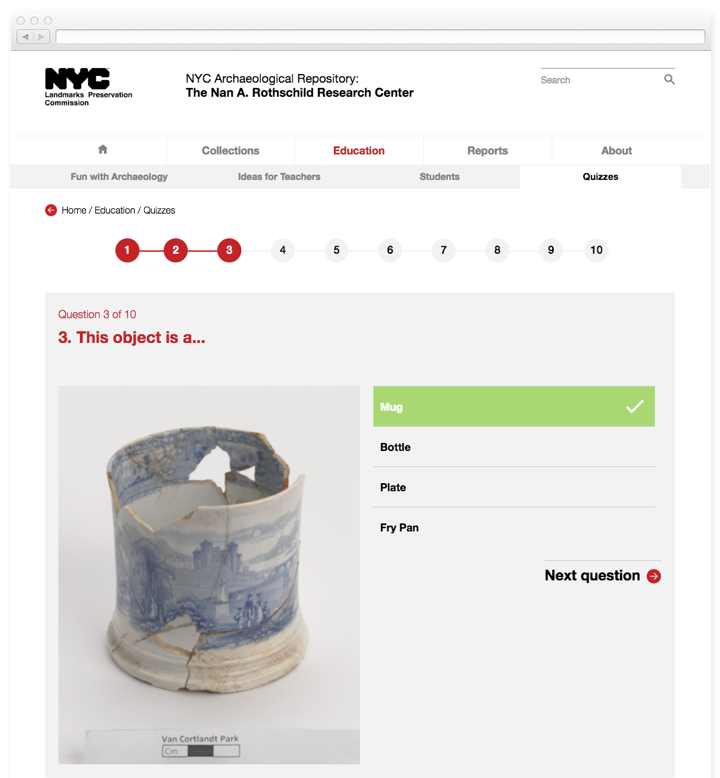 The object page accumulates all related information and encourages further discoveries providing links from the object details to find similar objects. A simple search option allows searching by keyword. 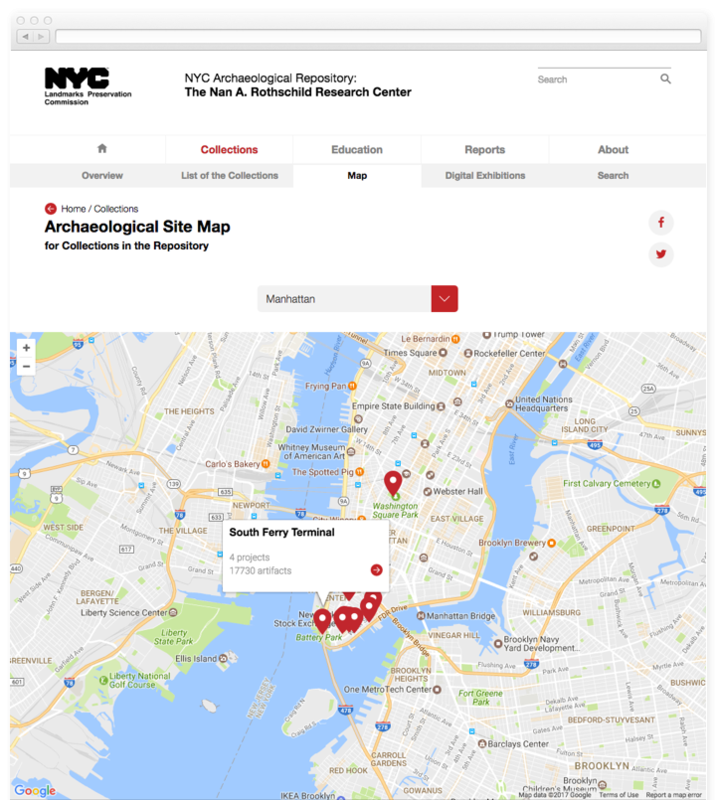 For archaeologists and experts, a comprehensive search engine is also available.